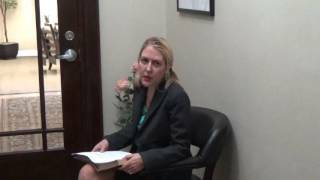 Disclaimer | Tampa Law Advocates, P.A. The materials on this Internet site have been prepared by TAMPA LAW ADVOCATES, P.A. and are for informational purposes only. These materials are not presented for the purpose of providing legal advice and do not constitute an offer to represent you. Materials have been abridged from laws, court decisions and administrative rulings and should not be considered as legal opinions or specific facts or as substitutes for legal counsel. While TAMPA LAW ADVOCATES, P.A. does not intend this Internet site to be advertising, it may be considered legal advertising in your state or country. TAMPA LAW ADVOCATES, P.A. is unable to represent a client that may come to us for legal assistance from a state where the material provided on this Internet site does not comply with local ethics rules, if that client came to us directly as a result of material he or she viewed on this Internet site. Your use of this Internet site or subsequent receipt of publications from us does not create an attorney-client relationship between TAMPA LAW ADVOCATES, P.A., or any of its individual lawyers, and you. You should not act, or refrain from acting, based upon any materials presented here. The following legend is required by Rules Regulating the Florida Bar: The retention of a lawyer is an important decision that should not be based solely upon advertisements. Before you decide, ask us to send you free written information about our qualifications and experience. TAMPA LAW ADVOCATES, P.A. maintains offices in Tampa, Florida. The firm does not intend to practice law in any jurisdiction in which its lawyers are not licensed to do so. The TAMPA LAW ADVOCATES, P.A. lawyer responsible for this Internet site is Samantha Dammer. TAMPA LAW ADVOCATES, P.A. is a Florida professional association. TAMPA LAW ADVOCATES, P.A. MAKES NO WARRANTY, EITHER EXPRESS OR IMPLIED, REGARDING THE COMPLETENESS, ACCURACY OR CURRENCY OF THIS INFORMATION OR ITS SUITABILITY FOR ANY PARTICULAR PURPOSE. THE SITE ALSO CONTAINS HYPERTEXT LINKS TO WEBSITES CREATED AND CONTROLLED BY OTHER ORGANIZATIONS. THESE LINKS ARE PROVIDED FOR YOUR CONVENIENCE AND ARE NOT INTENDED AS AN ENDORSEMENT BY TAMPA LAW ADVOCATES, P.A. OF THE ORGANIZATIONS OPERATING THESE SITES NOR AS A WARRANTY OF ANY INFORMATION THEY CONTAIN. The site is controlled and operated from TAMPA LAW ADVOCATES, P.A.’s offices in the state of Florida. By accessing the site, you agree to be bound by the terms and conditions of all disclaimers on this Internet site which are to be governed by and construed in accordance with the laws of the state of Florida, without giving effect to any conflict of laws principles. All activity occurring in connection with the site (including, but not limited to, accessing pages, downloading materials, etc.) is presumed to occur in the state of Florida. TAMPA LAW ADVOCATES, P.A. only collects personally identifying information when you subscribe to a mailing list or similar explicit request on this site. TAMPA LAW ADVOCATES, P.A. only uses this information to contact you with information that TAMPA LAW ADVOCATES, P.A. thinks will be of interest to you. By sending us your information, you consent to the collection and use of this information by TAMPA LAW ADVOCATES, P.A. Our mailing of information to you does not, in and of itself, create an attorney–client relationship between Tampa Law Advocates, P.A. and you. We reserve the right to discontinue any such mailings at any time. TAMPA LAW ADVOCATES, P.A. will not sell, share, or otherwise disclose any of the information it collects online except for disclosures to third parties who monitor the web site and to parties who assist or cooperate in preparing firm mailings.